A while ago I made a post to let you all know Sonic Retro had an official TF2 game server up so shooting things becomes less of a dream and more of a reality after stressful nights in IRC. I’m happy to let you all know that after having a TF2 server setup for a little while I’ve decided to expand our efforts to include additional game servers that the community can enjoy. Along side our TF2 game server, we now offer a hosted Counter Strike: Source server playing GunGame which is a highly popular custom game mode. We’ve also added support for the steadily growing Minecraft adventure/sandbox/strategy game. So when you’re finally done building those stats on Retro Channel you can join us on any one of our game servers. Need to find the server details? 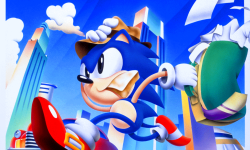 Go ahead and follow the link below to find the Retro Game Servers topic in General Gaming on the forum or visit and join the Sonic Retro Steam group.